Ethylene (C2) Feedstock – in March we saw a Eur 17/mt reduction in pricing levels on the back of small reductions in crude oil and naptha. Supply conditions for ethylene monomer remain stable with weak demand and higher producer inventories. Supply is expected to be brought back into equilibrium in the spring with some scheduled maintenance of cracker plants which is due to take place in the near future. Propylene (C3) – In line with other olefinic monomers and on the back of the slight downward movements in crude oil and naptha we saw propylene monomer prices decrease by Eur 20/mt in March. Supply conditions remain stable with upcoming cracker maintenance not likely to impact the market situation in the near term. 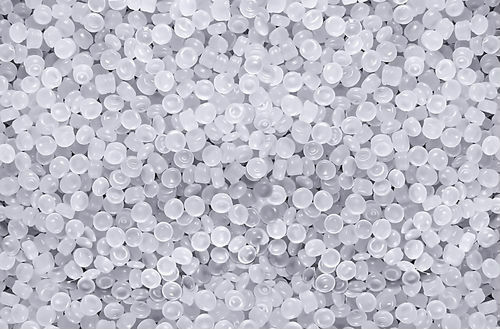 LDPE, LDPE, HDPE have all experienced slight downward movements in line with the fall in associated monomer pricing levels. Supply and demand is well balanced. 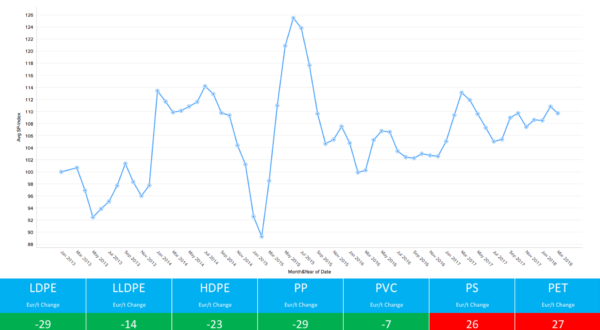 PP has experienced a slight downward pricing movement. Supply is on the high side with high producer inventory levels resulting from a slow down in demand. PVC pricing levels reduced by Eur 7/mt in March in line with ethylene monomer reductions filtering through to end feedstocks. The previously suppressed supply levels were corrected during the month and higher inventory levels resulted from a lower than expected level of market demand (particularly from the building and construction sector). Styrenics continue to experience price increases (+Eur 26/mt) on the back of further rises (+Eur 56/mt) in styrene monomer. Producer inventories built during the month as buyers have slowed demand in anticipation of a price fall next month. A significant decrease in styrene monomer is expected in April. Benzene feedstock pricing remains stable. Price falls are anticipated in the coming month driven by demand which has fallen dramatically causing stocks to build in the supply chain (despite the planned maintenance at styrenic plants). PC price increases of Eur 12/mt were seen during the month. Supply remains tight with long lead times experienced by purchasers. That said, demand did soften a little towards the end of the month helping to ease some of the strain in the marketplace. Further increases are anticipated in the coming month. 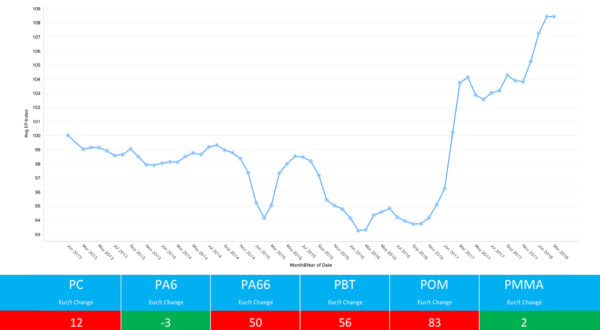 PA6 supply remains tight with long producer lead times and low inventory levels. Upward price pressure eased during March but further price increases are expected in the coming months. PA66 supply remains at critically tight levels following the ADN production outage at a French manufacturing plant. This continues to cause some significant headaches in the supply chain with prices on continuing on their upward trend. A movement of Eur 50/mt was experienced in March. There is unlikely to be any reprieve in the short term and future increases are likely to continue to filter through fast. PBT pricing increased by Eur 50/mt in March on the back of a continuing tight supply situation. Further price increases are predicted in the coming months. POM supply remains tight with extended lead times being experienced causing upward pressure of Eur 83/mt in pricing levels. Demand is at normal levels. PMMA pricing is stable and the supply situation is gradually easing. Related Post Just Why Would You Choose ABS?